Donna opened her eyes and looked at the Doctor and Clara. "I just made contact with him and he's on his way," she said to the Doctor. The Doctor smiled at that. "It's been ages since I've had mind to mind contact," he said as Clara smiled. "And now that I am here, I can sense the minds on this planet and the slight buzzing from them. It's soothing, something I've missed for so long." "You were born with that buzzing. Took me a long time to get used to it. Now it feels weird if I'm suddenly cut off so I can understand how it must have felt after the Time War," Donna said. "But as I said, sit down, have a cuppa and the Doctor will be here shortly." She went into the kitchen while the Doctor and Clara sat down on her brown leather sofa. The Doctor looked around the room, taking in the photos on the wall. He stopped looking when his eyes settled on a photo of Donna and Lee sitting together on a blanket in the middle of the park. They were cuddled next to each other and smiling. "That man in the photo," the Doctor said loudly while Clara looked at the photo with him. "Who is that?" "That's Lee," Donna called from the kitchen, "the man I was with in the data core in the library. He was real and I found him again. Now he's a Time Lord as well but he works as an architect so he's off working on a building during the day." "Architect," the Doctor said softly. "This place is still growing and thriving. A Gallifrey that rose from the ashes." Clara smiled at that and took his hand, giving it a squeeze. The Doctor smiled tenderly at that and squeezed back. They looked at the door when they heard someone knocking. "That'll be him, I expect," Donna said as she hurried towards the front door. The Doctor and Clara stood up, ready to meet this universe's Doctor but instead Donna opened the door and a child was standing there. "Hi, Aunt Donna," Hope said. "Daddy's coming but they're walking and I'm skating so I got here first. Is the other Doctor here?" Donna stepped back and watched while Hope unlaced her skates and set them by the door before she came inside. "Doctor, Clara, this is Hope, one of the Doctor's daughters," she said as Clara turned and looked at them. "A daughter," the Doctor said with silent wonder as Donna closed the door and Hope walked over to him. "She's beautiful," he added as Clara stopped a few feet from him and took him and Clara in. He put his hand on Hope's shoulder and looked at her, took in her slightly brown skin and long black hair that flowed halfway down her back. Her bright brown eyes and innocent face. He could see his tenth self in some of the features. She had the same eyebrows and the same nose and chin but it didn't detract from the child's beauty, only added to it. Donna walked back to the kitchen to finish the tea while the Doctor and Clara sat back down. "So…how old are you then?" the Doctor said as Hope sat down on the arm of the sofa nearest him. "I just turned nine," she said. "Nine, you're just starting out then," the Doctor said. "Yeah, I'm the baby of the family," Hope said, rolling her eyes while the Doctor chuckled. "I have one older brother and a bunch of older sisters and they're all graduated from the Academy but I still have to go and do it." "The Academy," the Doctor said, pleased. "Ah…so did you look in the schism then, last year?" "That hole in time and space? Nah, we had a ceremony but Daddy helped with the Academy and taught there and he's on the board of directors and he said that he wouldn't make children go through what he and Koschei went through so we had a big party for the initiation." "And are you making good marks?" the Doctor said. "I'm one of the top students," Hope said, nodding. "Wow, I wasn't," the Doctor said. "Why doesn't that surprise me?" Clara said. "Belt up, Oswald," the Doctor teased while Clara sniggered. Donna brought in a tray with four cups of tea on it and some milk and sugar. Everyone fixed their tea and after Donna sat down in a nearby chair she chatted with everyone while they sipped their tea. Twenty minutes later, there was another knock on the door and when Donna opened it, the Doctor and Alan walked inside with Rain and Rose following them. The Doctor and Clara stood up as Hope hopped off the sofa arm and walked over to her father. "Doctor," The tenth Doctor said. "Doctor," Twelve said with a nod. "Doctor or clone?" he said. "Ah, Alan Timelord, clone," Alan said. "This is me lovely wife, Rose, you know her. And this is his whingey wife, Rain, you don't know her." "Don't listen to him," Rain said, rolling her eyes. "It's nice to meet you, Doctor and…"
She frowned when Ten stiffened at that and shared a glance with his wife. "Remind me to make money off of Adam's predictions, eh?" he muttered to his wife. "Say, you wouldn't happen to know about some cyberhead called Handles, would you?" Alan added, addressing Twelve. "Yes, it's a friend of mine. Why, do you have a Handles here as well?" he said in amazement. "No, another clone is psychic and had a vision about you lot," Ten said. "Another clone?" Twelve said, his eyes boggling. "How many clones do you have?" "Ooooh, there's about eight zillion Doctors on this planet," Alan said as Ten fought to keep from laughing. "Huh? Eight zillion?" the Doctor said. "Wait, before Alan opens his gob again, wait a tic," Donna said, holding up her hands. She hurried to her bedroom and came out a moment later; carrying the huge portrait of the last family photo they took. "This is everyone in our family," Donna said, handing it to Twelve. Twelve's eyes boggled as he and Clara looked at the mass of people standing together in the photo. "River, there's River," Clara said, pointing to her in the photo. "She's not dead here?" Twelve said to Ten. "Well, our River did die but they managed to extract her consciousness from the data core and put it into an android body. Her and Miss Evangelista and Anita, they share a house together." "Everyone in this photo is now a Time Lord?" Twelve said in amazement. "Nearly. Jack is still immortal. He didn't want to give that up," Ten said. "And Androids can't be converted so we have to make sure that River, Anita and Miss Evangelista get upgrades every so often. 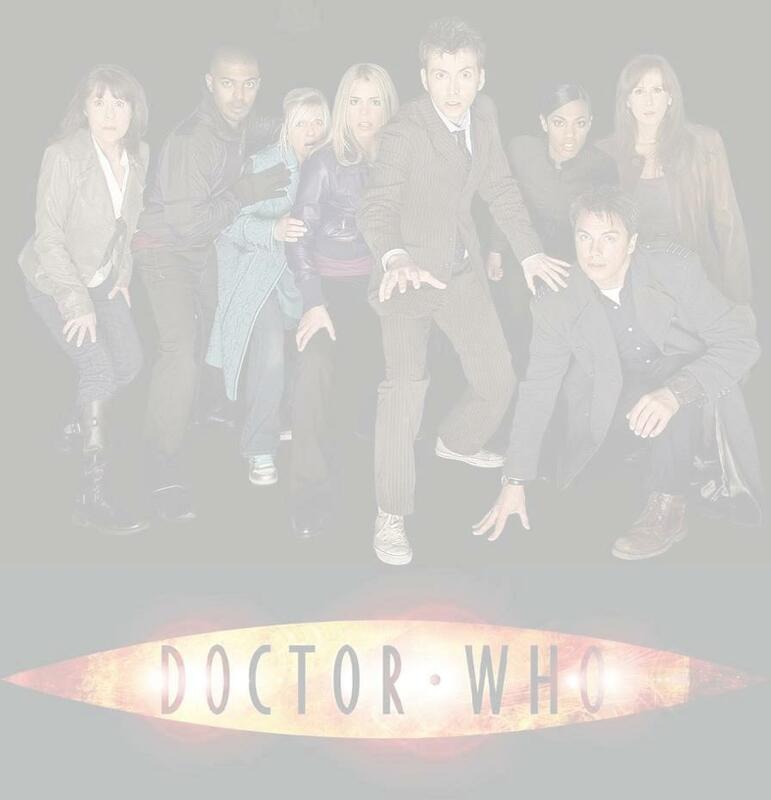 But everyone else in that photo is a Time Lord or Lady." "Sarah," Twelve murmured as he stared at the photo and picked out people he knew, "Grace, Martha, Jackie, Pete, Wilf…"
He paused and a lump formed in his throat. "Jenny," he said after swallowing hard. "She's alive?" "Yeah, she came back to life after we left here," the Doctor said. "We found her again and she's one of my daughters." The Doctor shook his head slowly in amazement. "People I know and care about…they're here?" Twelve said. "They live here on this planet?" "Well, Sarah divides her time between here and Earth. She keeps an eye on things there with her son and his friends and Jack and his Torchwood team do as well. Everyone else is permanently based here." "There's an Eleventh Doctor here as well?" Clara said, pointing to Duer. "Yeah, he calls himself Amato so we can tell him apart. I'm the only one here that is officially known as the Doctor. Everyone else chose a name so we knew who we were talking about. But that's our family." "Like Lungbarrow," the Doctor said in admiration. "Growing up in a large family on Lungbarrow, so you did the same with the people you cared about." "Yup," the Doctor said, nodding. "This…clone, the one that saw Handles, where is he?" the Doctor said, handing the photo back to Donna. "Well, if you will take us in your TARDIS, I can direct you back to his house and you can see for yourself," the Doctor said.